Welcome to the BAICE e-forum, again! Today’s discussions are facilitated by Prof. Anna Robinson-Pant, Professor of Education, University of East Anglia, United Kingdom. 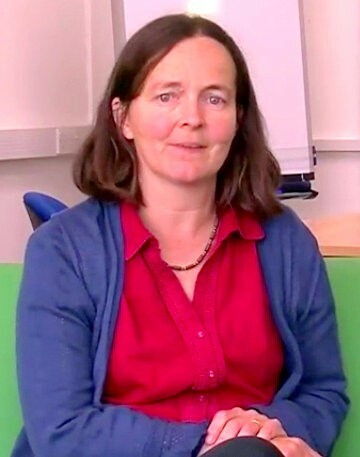 Anna is a Professor of Education at and is shortly to be appointed UNESCO Chair in Adult Literacy and Learning for Social Transformation at the University of East Anglia. She has worked as teacher trainer, planner and ethnographic researcher in the field of literacy, gender and development for many years (particularly in Nepal). She received the UNESCO International Award for Literacy Research in 2001 for her book, Why eat green cucumber at the time of dying? Exploring the link between women’s literacy and development in Nepal. She has conducted a range of policy-focused research studies for various development agencies, and recently worked as Global Research Coordinator for an IFAD-UNESCO project in Cambodia, Ethiopia and Egypt, ‘Learning knowledge and skills for agriculture to improve rural livelihoods’. After starting in literacy work ‘on the ground’ (mostly in Nepal), I have been based at a UK university and have engaged in research at a distance for many years now. As my role is often synthesising or analysing research studies for policy documents, I have been struck by how much powerful research evidence we now have on what literacy and literacy learning mean in people’s lives. However, as the comments and postings so far show, it is very difficult to see what impact such research is having on the direction of Government and INGO policy and programmes. I have also worked in a training capacity with NGOs and other institutions to introduce and support action-oriented research approaches. Usually this has been part of a short term project – a ‘one-off’ activity – and afterwards these organisations have found it difficult to find time, space and resources to integrate such research into their programme planning and evaluation. Is it realistic or appropriate to expect that NGOs and other literacy agencies conduct their own participatory and action research when they are busy implementing programmes? Or should that be only the role of academic researchers? How can we make sure that research findings (particularly of qualitative and participatory studies) are shared more widely with those who are implementing programmes or designing policy? How can we use existing research on adult literacy to advocate for more resources to be allocated to adult literacy and lifelong learning? What role can social media play? Looking forward to discussing your views on some of these issues! (1) On point one, yes i think it is…realistic and appropriate for NGOs and other literacy agencies to do their own participatory action research. In fact, I think it’s a must. As projects/programmes are implemented, a monitoring, evaluation and research documentation team should be in place to capture the happenings of these projects; not only final results but processes as well. The common misconceptions in NGO work is that research is not their turf and research is only for the academicians. Not anymore. This project implementation – research divide is an offshoot of the ‘positivist’ approach to research where research should be done by experts using highly quantitative tools and techniques, also come up with quantitative results. With the coming and rise of qualitative research, they have risen in many forms – phenomenological, ethnographic, focus group discussions, case work, key informant interviews, etc. And they are now being used. (2) Sharing of research should also be an item in the project./program activity plan. Results, feed backing sessions should be documented substantially, as these are actual feelings, comments, ideas of people who have been involved, who have been the subjects and objects (sometimes) of research. (3) On point 3, this is where, multi-expertise should come in. People in media, like creative writers, film makers, and champions of community literacy, need to come in. There are also rising youth talents who even without formal training, are capable of creating their own interpretations of outcomes and results from experiences on the ground. Not only successes can be documented but failures as well. And this has to be translated into policies for further improvements. Research is definitely a professional work to be undertaken following some paths to gain some learning, insights and way forward agenda. I join with Rebecca arguing that research can not be a task of the academics alone. The journey of widening the scope and process of research began long back with the augment of ‘action research’ (now it has many faces) which essentially entails engagement of the practitioners. Thus research became a joint undertaking of the academics and practitioners. It is more true in the education field (more precisely in the adult education field), as the subjects and objects of research are in the journey of lifelong learning. An academic (professional engaged in higher education relating to adult literacy/continuing education, for example) in no way progress/profess without active engagement and/or interaction with a adult literacy tutor or trainer. Here lies the needs for joint undertaking. This joint undertaking or partnership can pave the way of optimizing dissemination of the research findings at the operational level and effective use of research insights for further improvement of the literacy courses. It become equally beneficial for the academic world with addition of books. monographs, etc containing diverse insights from real world (of development) for academic use. Thanks for the interesting questions and responses. To share more widely their research findings or use existing research findings, researchers, like what is happening here on this e-forum, should not forget the plane where virtual spaces and actual spaces interconnect and interpenetrate, and where ideas have potential to be actualized. Also, existing research writings could be adapted so as to be direct, diversified, readable and accessible to win more of the readership. A agree with the idea raised on the role of NGOs and literacy agencies in conducting their own participatory and action research. This will promote inwards looking, identifying and prioritize their practical problems and propose inclusive and feasible suggestions. Since NGOs, particularly Local NGOs are close to the community in understanding literacy issues, their engagement in participatory and action research will not only help for better practice and policy inputs but also empower their capacity to look things/problems differently and address them systematically (evidence based practice). However, in my past NGOs experience and observation such practice seems very limited. In my view, it is due to lack of such skills in undertaking participatory and action research (and perceiving research as the only task of academics), overstretched by routine/day-to-day project activities and rushing to meet the funders/donors requirements, and failing to look a possibility of conducting their own research and include it in their plan. These challenges lead NGOs to look for other alternative: provide the task of doing research for academic researchers or consultants, and confine their staff only to focus on implementing the literacy project. Thus, working more on building the technical capacity of NGOs and Literacy agencies in participatory and action research, convince decision makers or management bodies and funders to support its importance and take action can contribute for community transformation and development. I am very grateful for this online forum because of the opportunity to explore issues which are worth exploring both from the views of NGOs and academicians. It is very inspiring to read insightful comments from people who are working in both fields: development and academic research. You can articulate really well the theoretical and political-based perspectives; at the same time, you understand the challenges we, NGOs, are facing when it comes to presenting the results of our programs and justifying the grants we receive. I was just wondering how other NGOs, those whose members are not academic-practitioners, would approach this matter? Like what Demelash said, there is the issue of lack of skills to undertake research. Ours are not just “stories of success”- our stories are rich sources of baseline data which contribute to advancement in different fields of knowledge. But how do we disseminate them? We need to collaborate with academics. Though I am very sure some academic researchers would be willing to do this voluntarily, but this is rare. We do not have the resources to fund their research. If governments support this kind of collaboration, this will be very beneficial not only to both academics and NGOs but most especially to our partners, the beneficiaries of development programs. Yes, in my view it is utterly appropriate to expect that NGOs and other literacy agencies need to participate in conducting research albeit busy in implementing program. But, for the question raised by Prof. Anna Robinson-Pant, “conducting their own research and action research?” I strongly believe that involving stakeholders in a research study (it might be solitary) is a critical step toward the translation of research into practice. They should be involved not only when the results are known, but throughout the research process-from conceptualization to dissemination. This involvement will ensure that the research addresses program or policy needs and will foster ownership among stakeholders who can facilitate the use of results. Therefore, Considering involvement of various levels of stakeholders is an ideal means to ensure the implementation of literacy program. Stakeholders with different levels of decision-making responsibilities can play different roles in facilitating the research process in such a way bringing the gap will be ensured. But, my question is, how can the voice of researchers be heard in developing country, like Ethiopia where the culture of research is at infancy stage? I would be happy if you share me on the methods of involving various stakeholders particularly where literacy is utterly widespread. We all seem to agree that NGOs and other implementing agencies should also be engaged in action research in order to bridge the ‘research divide’ that Rebecca refers too. As Ehsanur notes, research is not just for academics and it is an important learning experience for both NGOs and academics to work together in this way. However, Demelash raises the question of how NGOs can do this in reality, given their limited experience in this area – and also that it is a lot easier (possibly more cost effective?) to bring in a consultant to do the research element. Sr. Elizabeth’s comment regarding the cost of collaboration with academics (for training in research too) makes me wonder if it would be possible to explore partnerships between universities and NGOs working on literacy. Some of our MA students are keen to focus their dissertations on adult literacy and learning, and would like the opportunity to conduct research with an NGO in this area (even if they do not actually visit in person, it is possible to collaborate on research at a distance too). IFAD has recently introduced the idea of internships for MA students with their agricultural projects in various parts of the world – where the student would then develop a research study in the area of interest for the IFAD project. Perhaps we could do this for literacy students/NGO projects too? Regarding the question of how to better disseminate research findings (processes as well as actual findings perhaps – as Rebecca points out), Fusheng suggests that academics need to make their writing more accessible to a wider public. I agree – though there is sometimes the danger that policy briefs over-simplify complex findings in an attempt to produce a simple list of bullet points to guide practice. Great idea to work more closely with media people – has anyone examples of where this has worked well? Or perhaps this is another area where collaboration with students or participatory video training etc, might help? Thanks for mentioning the question about the voice of researchers, Temesgen. I think the point you are making about how far researchers are heard within policy making is not just about developing countries, but very common here in the UK too. Maybe you are suggesting that policy does not build on research findings? Or I have also observed that research may be commissioned to support policy decisions already made… Regarding methods to involve stakeholders in research processes, I would advise looking at the many materials on the IDS (Institute of Development Studies) participation website. I would like to thank Professor Anna Robinson-Pant for bringing this issue for discussion. For the first question, my answer is No! I do not think it is realistic to expect that NGOs and other literacy agencies implementing literacy conduct their own participatory and action research. Firstly, they are too busy to do research. Secondly, as pointed out by Demelash, they may not have the necessary knowledge and skill to conduct such research. I also do not agree on the idea that the role of doing research should be left only to academic researchers. What I suggest is collaborative work; academic researchers and implementers should conduct participatory and action research in collaboration. With regard to the second question, I have two suggestions. To make sure that qualitative and participatory studies reach the implementers, we need to involve them in the study process so that they would be the owners of the research, not receivers. Besides, research dissemination issue should be an integral part of research plan. Many research projects overlook the process of disseminating research in their research plan and evaluation. There is, however, one problem with regard to research dissemination. Many of developing countries do not have access to research findings due to various reasons. Something has to be done to make research works accessible for researchers and practitioners found in developing countries. I would also support the idea of collaboration between NGOs, INGOs, and other literacy agencies and those for whom literacy programs are meant to serve. This interaction is very important if literacy programs are to meet the needs of all partners involved in this common cause, which is to empower iliterate women. As regards sharing information, it can be done through institutions such as Churches, schools, Mosques, and other areas where people can have access to information. From these centers information, people can have ways to go their and collect the information they need. It is generally difficult for the implementers of literacy programs and beneficiaries to operate successfully without basing their decisions on reliable information. In this knowledge economy, helping partners in literacy programs would be an asset to help them participate in transforming not only their lives and their communities but also the whole world. Yes, these are really strong arguments for greater collaboration. I agree with Turuwark that there are real problems around accessing academic research in countries like Ethiopia – how do you think this could be tackled? The move to ‘open access’ for electronic journals by some major publishers like Routledge may help with this – though I am aware that you need good reliable internet access to download these materials. Dennis makes important points about how we should make better use of existing information centres such as mosques and churches. This is really helpful in terms of moving our debate away from only considering research in relation to ‘programmes’ set up by NGOs and Governments to think about other institutions which are active in the community (in terms of literacy and communicative practices too).